This was one of the best scenes I've seen in a long time. 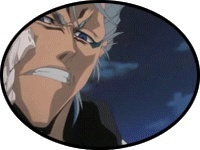 Nnoitra is rounding on Nel.. Ichigo comes to her defense. He begins to monologue. "Don't worry, Nel. After all.. we're--"
Yay, by what Kon said in tonight's Bleach, sounds like the dub will have the Golden Cups! Happy day.